CarGurus has 65 nationwide Aztek listings and the tools to find you a great deal. That look. People just couldn't get past that look. 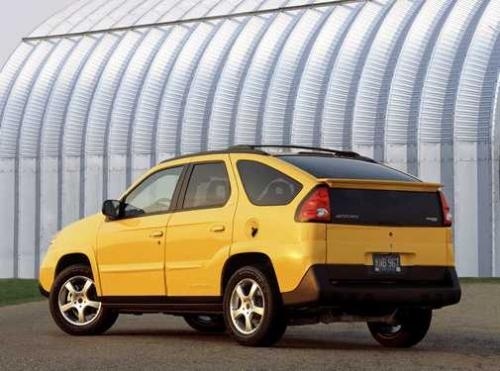 And though Pontiac offered discounts galore, the crossover hatch/wagon Aztek never received a proper marketing campaign that highlighted what its owners loved best about it--functionality, versatility and roominess. Drivers rated the Aztek much higher than SUVs in these categories. But it was all for naught, as 2005 was the last year for the Pontiac Aztek. As a result, the only change in the 2005 Aztek was the availability of a hands-free OnStar system. 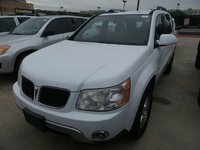 The 2005 Aztek had a 3.4-liter, 185-hp V6 and a 4-speed automatic transmission, and it was available with front- or all-wheel drive. Sitting on 16-inch tires, various packages added more sports performance features (the Rally package offered a lower ride height, cosmetic tweaks, and 17-inch tires) and more interior elements, such as a heads-up dash display, dual-zone climate control and sunroof. The Aztek's best feature was its storage functionality. Lots of compartments in the trunk, including a roll-out cargo floor tray and drop-down tailgate made for easy loading and unloading. Rear seats came out easily or folded down, along with the fold-down front passenger seat, to expand the cargo space to 93 cubic inches. Other features, such as a removable cooler, tent/mattress package and rear stereo controls catered to a youthful outdoor spirit. The Aztec offered all the functionality of an SUV, with better rollover protection and easier handling. Although it didn't seat as many people, the cargo space was immense, and some drivers say it held a wider variety of cargo than any SUV. Other praise went to its roominess, comfort, AWD ability in the snow, responsive acceleration, smooth ride, tight turning radius and good gas mileage. 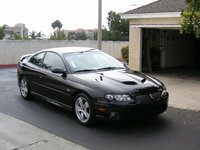 Criticisms focused on a heavy rear hatch that never opened or closed properly, blind spots caused by the rear spoiler, the need for more horsepower and not enough rear legroom. 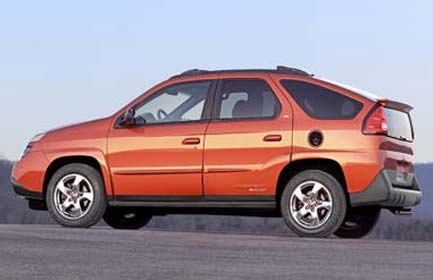 What's your take on the 2005 Pontiac Aztek? GuyGamer217 People also loved the bench/tailgate in the back, the cooler, the automatic wiper fluid, and - the optional tent. Yes, that thing had an option for a built-in tent, complete with a mattress. 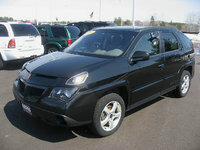 Have you driven a 2005 Pontiac Aztek? I Have A Car That Won't Start! 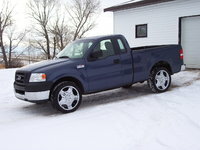 I have changed the started had the battery and alternator tested. It comes on but won't crank. How Can I Tell Bad Head Gasket Vs Bad Intake Manifold? I just had my aztek in the shop because it was stuck in park. They had to replace the "pigtail". What is that?